1. Have a separate pump for each lateral/zone at a different elevation. This option may be more applicable with larger flow systems split into several zones. This requires a panel designed to operate and alarm two pumps and two supply lines. 2. Switching valves can also be used to dose several zones within a system with one pump. 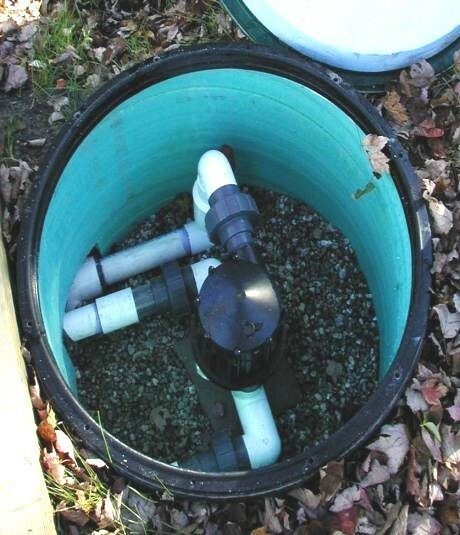 They tend to clog particularly with septic tank effluent and not rotate to the next zone. Therefore, they must have a maintenance access, be regularly serviced and should be insulated in cold climates. 3. Use valves to regulate the pressure head in each lateral/zone so it is equal. This option requires squirt height testing at system startup and adjustment over the life of the system. 4. Consider using pressure compensating drip distribution that can account for differing elevations. 5. Vary the perforation size, spacing and pipe length to ensure even distribution from one lateral/zone to the next. There is software that can assist with this design (free version available here). Determine the elevation and length of each lateral. Calculate the difference in elevation from the lateral at the highest versus the lowest elevation. Add in the required head at the perforation. Calculate the pressure head at each elevation. Estimate a perforation size and determine the flow rate per orifice for each lateral. Calculate gallons per minute per foot for the lateral at highest elevation with an estimated spacing. 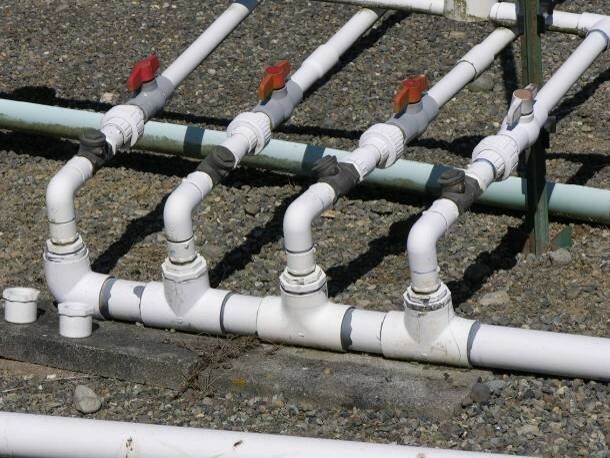 Balance gallons per minute per lateral for each of the other elevations by varying the length of pipe, perforation size and spacing so equivalent gallons per minute per foot are being delivered. Add gallons per minute for each lateral to determine the total gallons per minute required.